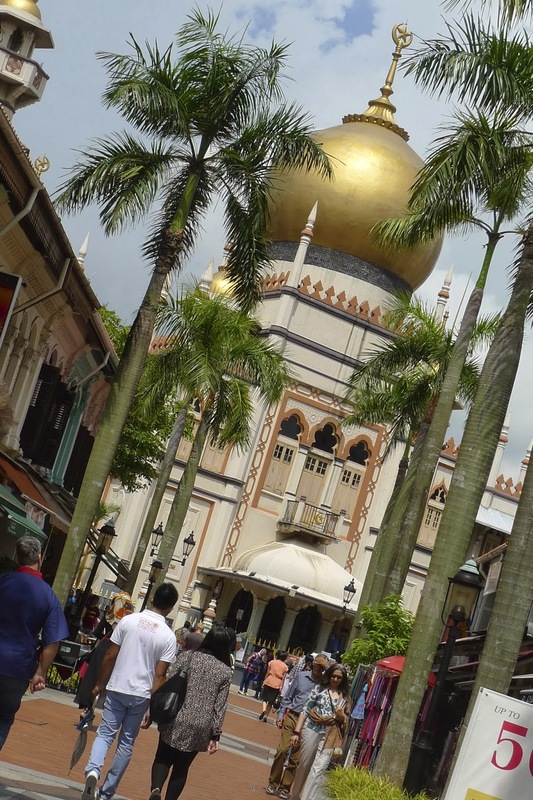 Kampong Glam is the Muslim quarter of Singapore, settled in 1819. 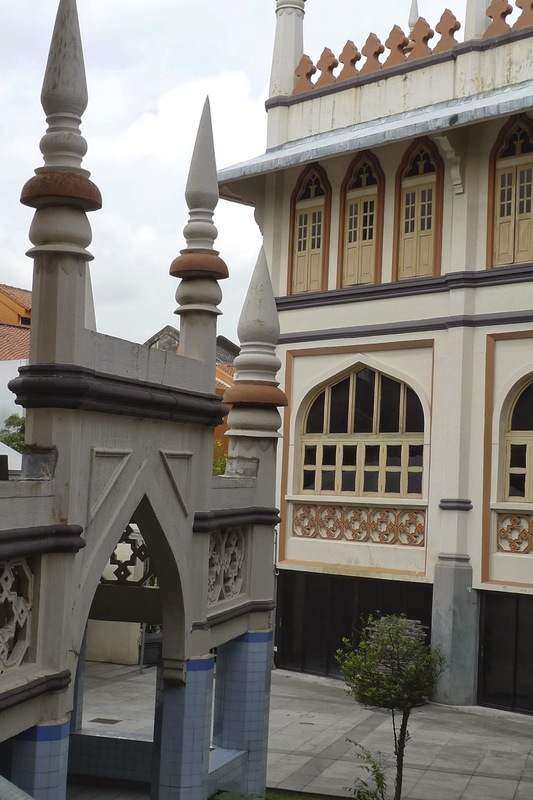 The original Masjid Sultan (Sultan Mosque) was a simple structure built in the 1820's but it was demolished and a new mosque was commissioned in 1924, designed by Irish architect Denis Santry from the architectural firm Swan and MacLaren (which still exist in Singapore today!). The present mosque is a prominent landmark standing next to the peaceful grounds of the Malay Heritage Centre (from which I sketched this drawing on an exceedingly hot afternoon). With adjoining street names like Muscat Street, Khandahar Street, Baghdad Street, Arab Street, Haji Lane and their mix of Middle Eastern, Malay and Indian eateries and businesses selling carpets and exotic fabrics, it was an afternoon that sent my senses reeling...and I was transported back to 1924. Sketched Doro Cafe from Sufi's Restaurant where we had lunch and then went to Doro Cafe for coffee so I could sketch Sufi's Restaurant. Shop selling baskets and rattan ware. Sultan Mosque from the Malay Cultural Centre. Sultan Mosque from Bussorah Street which is now a pedestrian mall. The mosque is closed for prayer times but at other times is open to the public, free admission. 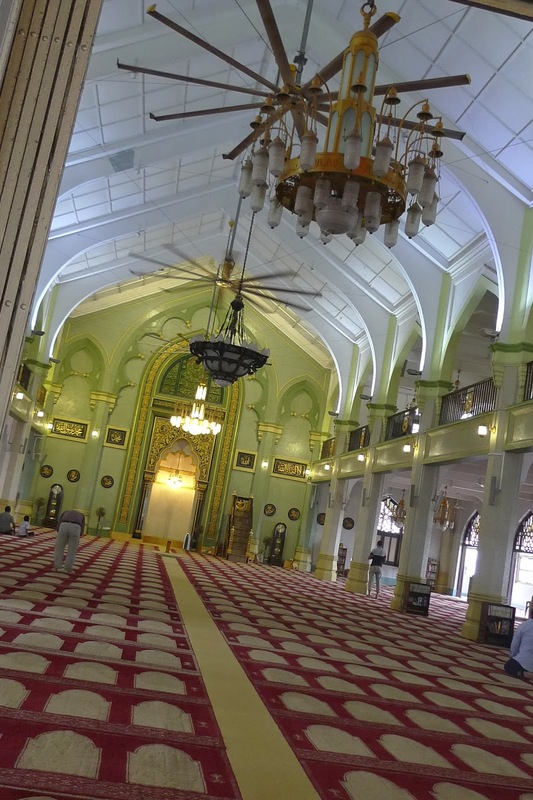 Shoes must be removed before entering and the mosque provides full length robes for the public who are not appropriately dressed ie. those with bare arms or legs. View from back of the mosque.